What do you get when you mix fishability, style, and top end performance? 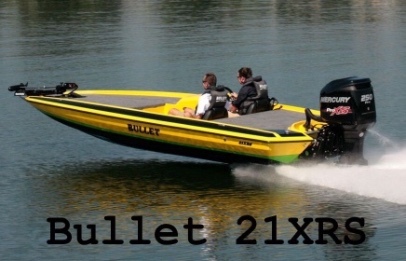 Introducing the new Bullet 21SST total performance bass boat. We've merged the pad of our top speed 21SS while adding the same tournament inspired fishing layout of our famous 21XRS boats. Do you prefer the symmetry and sleek look of a dual console boat to keep you and your passenger protected from nature's elements? 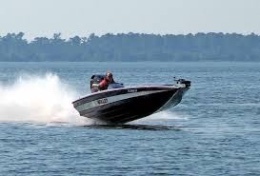 Check out our newly designed Bullet 21SDC Performance Boat. It features a similar layout to our 21XRS boat with an added console for protection and style. Are you looking for the ultimate high performance tournament fishing boat? The Bullet 21XRS has been battle tested on the FLW Tour and the results speak for themselves. This boat provides the most advanced tournament fishing platform the industry has ever seen. Superior performance, handling, and fishability is unsurpassed with the 21XRS. The time tested 20XD, 20XRD, or 20XDC are a great choice for people wanting the speed, look, and compact design of our original "X" series boats! Our classic 21XD, 21XRD, 21XDC, and 21RDC line of boats is the perfect choice for those who want to keep the classic Bullet look they've come to love over the years! We didn't forget about you saltwater fishermen. Our Bullet 22SF Flats Boat is a great choice for running the bays and inlets and provides a great platform for inshore tournament fishing! Hand Laid in the USA! 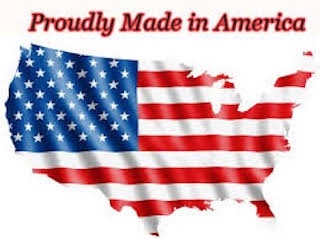 We pride ourselves knowing that each and everyone of our boats are 100% hand laid in the United States. No robots, no spray guns, no fancy machines; just good-hearted American people. We think that's the way it should be, and our quality reflects it. Thank you for your loyalty and your business. See you on the water! Want to keep up with the latest Bullet trends? At Bullet Boats we realize the impact that social media has on the fishing and boating industry and we want to join in on the funned interact with our customers. Be sure to follow us on Facebook, Instagram and Youtube for the latest product information, promotions, reviews, and Bullet pro-staff standings.